Five hotels on International Drive have Rosen in its name. Who is this person? That person is Mr. Harris Rosen and he’s more than just the owner. Among many things, he’s a philanthropist, a savvy business man, a father, and a visionary leader. For more than 45 years he’s run a successful chain of hotels in Orlando, Florida. He’s also dedicated time, finances, and passion to serving his community. 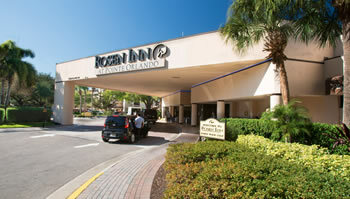 What’s important to understand is that as a guest at Rosen Inn at Pointe Orlando, he cares about your stay. Unlike other hotel chains, Mr. Harris Rosen has instilled and maintains a family environment with all of his hotel employees, which extends to Rosen Inn at Pointe Orlando’s guests. Find out why Rosen Hotels & Resorts and Mr. Harris Rosen consider you family. Click here for the full story of this remarkable man.